My mum and I did some damage to our bank account yesterday when we went sale shopping. But, what are you supposed to do when everything is 70% off and it's super gorgeous? I got both the pants and the shirt for less than €25 so how was I supposed to say no to this? I discovered turtle necks a while ago and my collection has been growing ever since. 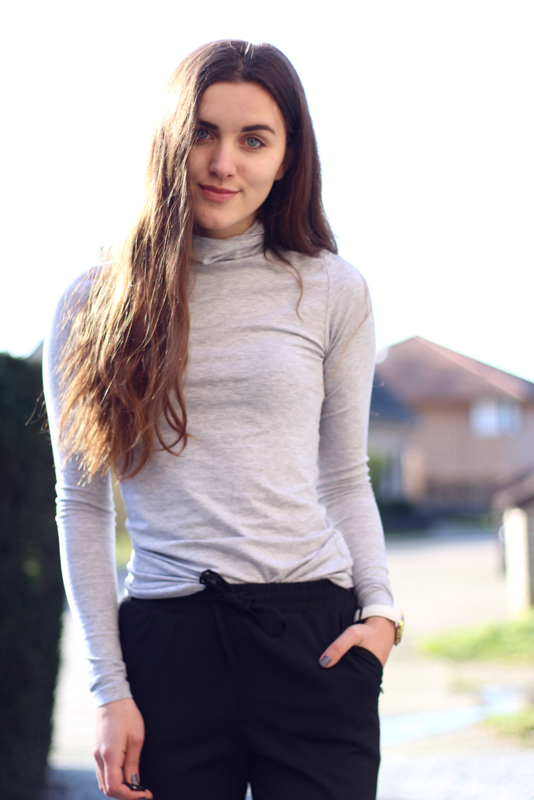 A grey turtle neck shirt is a must-have in your wardrobe and I think it looks gorgeous when you wear it with classy pants like the ones I'm wearing.